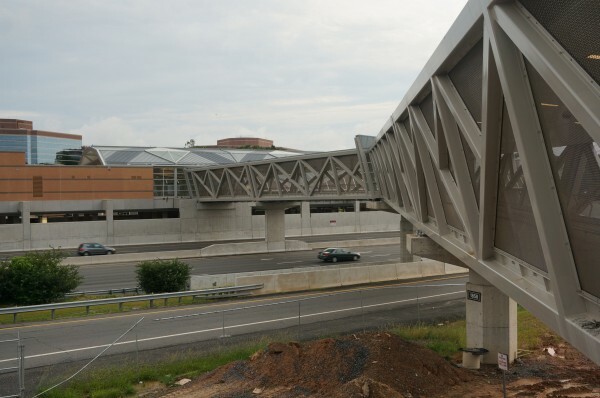 If Silver Line contractor Dulles Transit Partners finishes the work on the final “seven or eight” items this week, an opening date for service will be set on Monday, says Metro General Manager Richard Sarles. “We are in the final stretch,” Sarles said in a call with reporters today. A week ago, Metro Deputy General Manager Rob Troup said DTP, the Bechtel unit hired by Washington Metropolitan Airports Authority (MWAA) to build the 11-mile Phase 1 rail extension from East Falls Church to Reston’s Wiehle Avenue, had only completed about half of the items that must be done before passengers can ride. Metro obtained control of the Silver Line May 27, starting a 90-day testing and training period. However, MWAA and Metro agreed in April that certain items could be completed after the handover but before passenger service begins. There has been at least one report that the Silver Line will begin service the last week of July. While the Silver Line is more than six months behind schedule, an opening date for service has never been set. Silver Line officials would not confirm the July speculation on Monday. However, that may turn out to be correct if progress is made this week. Among the items to be completed: obtaining certificates of occupancy; finishing painting tunnel handrails; testing of fiber optic cable; and testing of intrusion and fire alarms, said Sarles. There will be a public safety drill on June 29 at the Spring Hill Station. There will also be a week of simulated service before passengers can ride the Silver Line.